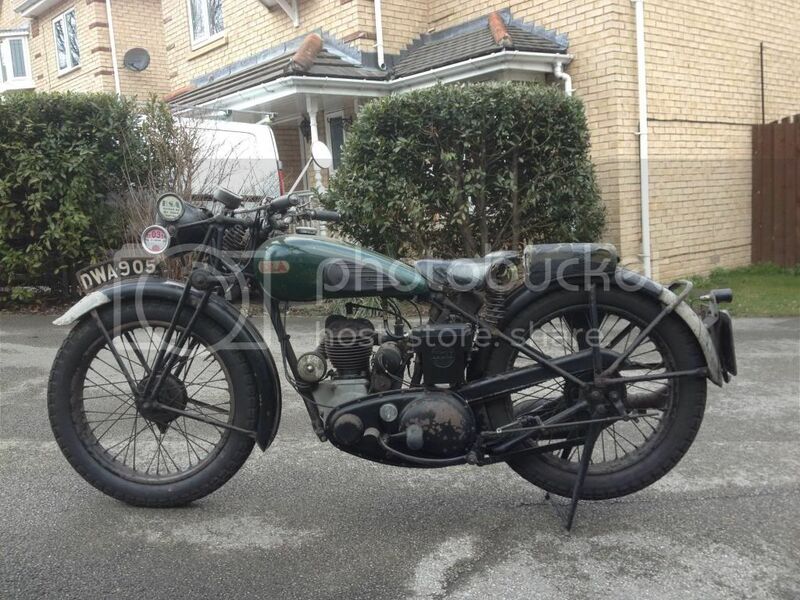 Just thought Id put some photos up of our 37 bsa b23 . The bike got put away in a garage around 1939-1940 as the owner couldn't get petrol for the bike. It had different jets in the carb and we think they tried to run it on some sort of other fuel mix. We have some original documents for the bike including ration books for petrol! The bike resurfaced in the mid 90's when the original owner died and we managed to buy it. The milage is original. That's a cracking bike, I hope you have no intention of restoring it. No we don't intend to restore it. Could do with a couple of little jobs doing on it but nothing that would spoil it. Wot a corker, fresh from the War, even down to the 'reflective' white paint on the rear mudguard! That is rather lovely. How much work did it take to get to run? I know a lot of owners tried to run their cars on paraffin in WWII as this wasn't as hard to source. Some of the car engines would run on this, but with reduced power and increased exhaust smoke. I don't know how it would work in a bike.. It didn't take alot to get it running from what I remember. The oil was changed and oil ways checked that they were clear and that it pump oil around the engine. Point were cleaned and the mag was sparking so we went for starting it. The bike did start but ran roughly thats when we discovered it had the wrong jet in the carb. We got the correct jet for carb and the bike ran well for a short while until the shallac melted off of the mag and seized the engine. I remember my dad being really upset at the time thinking that something had gone badly wrong with the engine then be very relived that it was just the mag. At a later date we did strip the engine just to check every thing but it was just reassembled as everything was fine. There is a little story to how we came to own the bike. My Dad first saw the bike at the police bike safe show offered for sale by local dealer Leather and Simpson. My dad was really taken up with the bike and a few days later a deal was done and the bike was at his house. We'd had the bike and a friend of mine dad who was a police Sargent had heard about the bike and ask me if he could come and have a look. As he was interested we though we would let him come and see it. After he looked at the bike he said he would have a sneaky look on the police computer and see if the reg of the bike had been re allocated. What we didn't know he already had realised something about the bike. A couple of days later he called to his house as he had some news about the bike. He sat me and my dad down in his house and asked where did we get the bike from? Did we have a receipt? Why had we bought a bike with out documents? We told him we had a receipt and it was not uncommon for old bikes to not have documentation. He said I've some bad news the bikes showing as stolen on the computer and its my duty as a police officer to report I know where the bike is. So the next thing is we have a police detective at the house questioning us. He was happy we had bought the bike legitimately and went of to question the dealer telling us to keep the bike secure and not to do anything with it. He spoke to the dealer and was happy the had bought it in good faith. Unbelievably the person who a stolen it had sold it to the dealer but could be traced as he had supplied his name and address for the dealer. Realising he couldn't he sold the bike to the dealer! 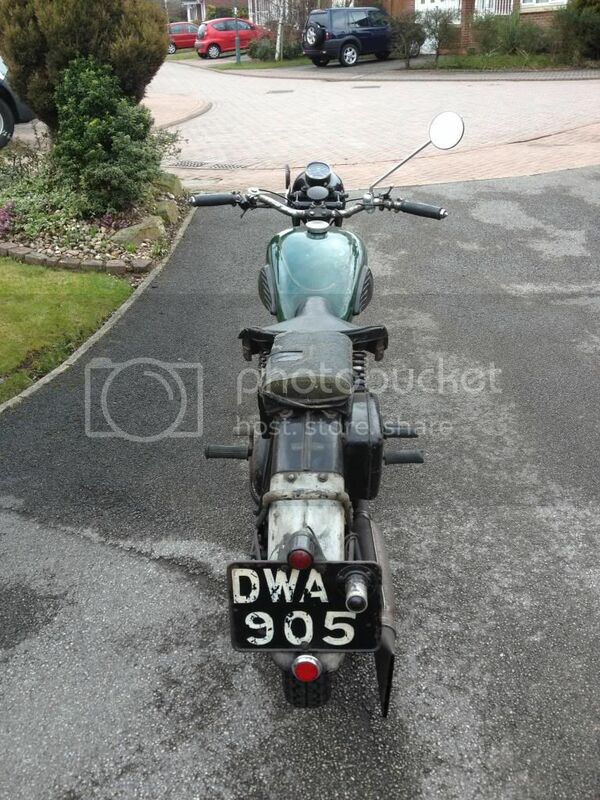 Anyway with the dealer being reputable they gave my dad a full refund but the bike was still sat in his garage. The executers of the will had to come and identify the bike. Before my dad would let them see the bike my dad asked the to describe it. Not being onto bikes they said well is an old bsa with a green tank but these are ration books we have for it and the is the bill of sale with the for it. There was no doubt it was the same bike. My dad asked what they intended to do with the bike and would they sell it? They said yes so my dad offered them what he had paid the dealer as he thought this was a fair price and a dealer should know the market. 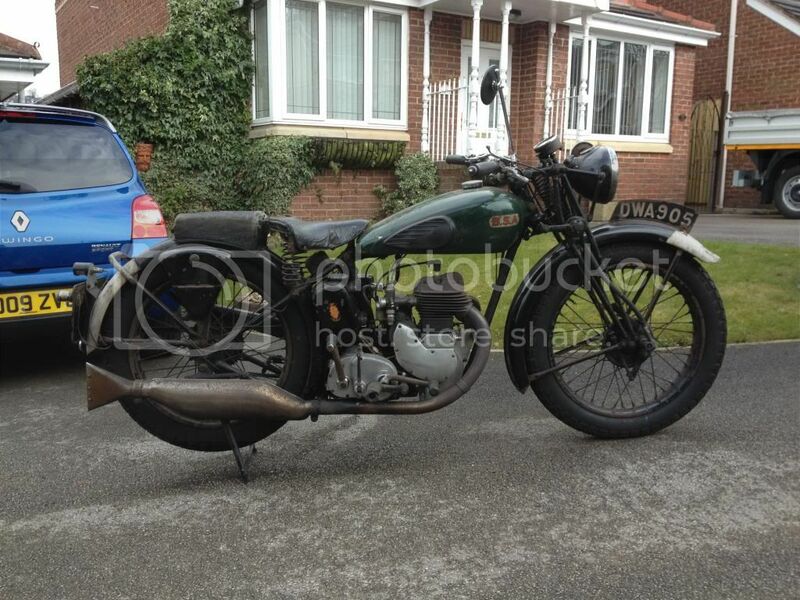 They said no that wasn't enough as it was an old bsa and they fetch a fortune so we'll send it to auction. 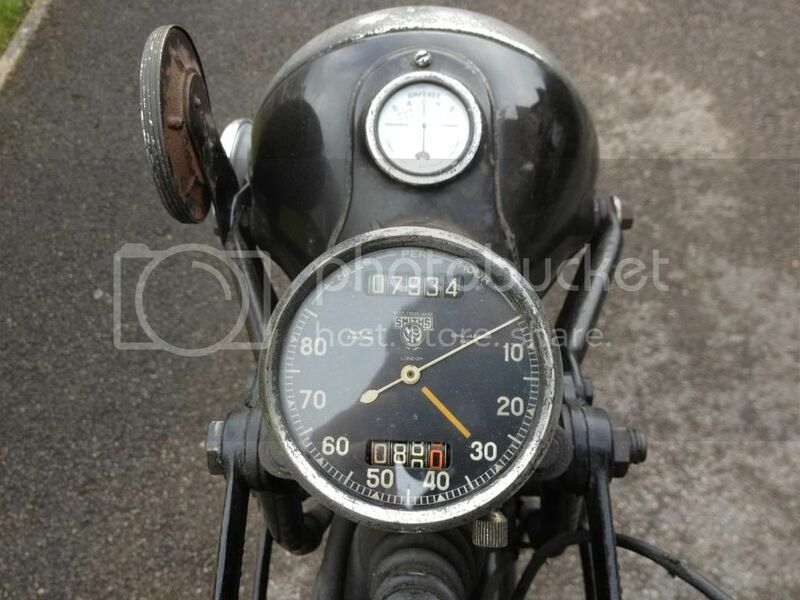 At this point the bike was now running and the mag had been reconditioned so my dad what about my time for getting running and the cost of the mag?? They said just take that off anything you've replaced or reconditioned so we took the mag and dynamo off and as we did the the clutch seemed to fall out on the floor too. Any way my dad went to the auction and bought the bike back for 3/4 of what he originally paid. Since then we have just enjoyed owning the bike. !